We Act Radio is offering special programming for “Mandela Day,” July 18, 2013. Scheduled programming is pre-empted to honor Nelson Mandela on his birthday, his 95th and, sadly, most likely his last with us. 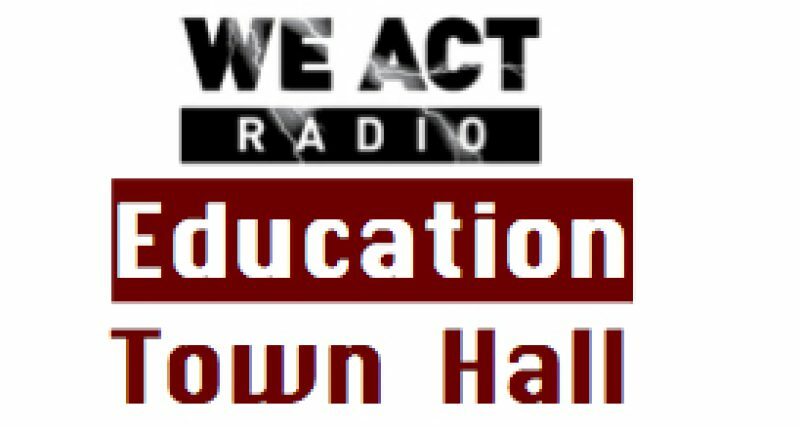 The Education Town Hall will return to the air in its regularly scheduled spot next week, July 25. We know that many will want to honor Mr. Mandela’s life and legacy in the coming days. We Act Radio has been working closely with the South African Embassy and TransAfrica Forum to bring together representatives from organizations who would be interested in being a part of the local efforts. The DC Summer Youth Employment Program (SYEP), as part of We Act Radio Media Training, will produce an audio documentary honoring Mandela, also known by the Xhosa name Madiba. We Act will also provide a LIVE broadcast with Rock Newman, from Busboys and Poets, 5 – 8 p.m. tonight, July 18, at 14th & V NW. Join the (live) conversation, 11 a.m. to noon, by calling 202-889-9797.